I have often wondered about Beccles and its role during World War Two. My grandmother used to tell me stories about hearing the sounds of heavy bombing carried on the winds, across from the North Sea to the East Anglian coastline, but I don't actually recall her talking about some of the vital war work which civilian Beccles took part in. 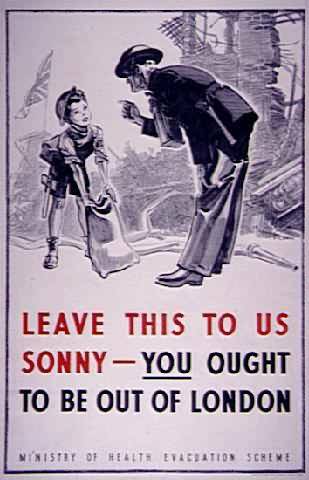 My personal interest lies in the Evacuation Schemes from London and all of those children who came to Beccles during the Phoney War period and beyond. David Lindley, a Beccles historian, has extensively researched and transcribed the local newspapers for Beccles and they paint an intriguing picture of the role that people of Beccles played during those early pre-war years of 1939. In particular, the evacuation of children. In January 1939, plans were already underway for the EVACUATION of CHILDREN in the event of war: "In connection with the Government’s scheme for the evacuation of children from the big cities in the event of national emergency, local authorities in reception areas up and down the country have been asked to find out what housing accommodation will be available. Between now and 28 February these surveys have to be completed and the details analysed. The Borough Accountant has been given general direction of this in Beccles. So far between 40 and 50 public-spirited citizens have offered their services as visitors, and during the next few days they will be making their calls from house to house. The borough has been divided into 16 districts of about 100 houses each." Six weeks later the newspaper reports: "EVACUATION RETURNS: From the survey carried out in Beccles no fewer than 3,708 people from crowded cities and towns can be accommodated in Beccles in the event of war." In April 1939, the local council sat to discuss EVACUATION & BILLETING. "The Chair was taken by the Deputy Mayor, Dr Wood-Hill (as the Mayor, Mr Allden Owles, was on holiday abroad at the time). The Accountant, Mr WS Clark, reported on a recent conference at Ipswich. Beccles was one of the nine detraining stations in the county, and would receive 2,000 persons on the fourth day of the evacuation. The number of billets available in the district served from the Beccles rail-head was 7,300. The approximate proportion of the 2,000 who would remain in Beccles would be 800. The remaining 1,200 would be distributed to Lothingland rural district and Bungay urban district by means of buses. Offers of accommodation in Beccles itself totalled 3,000. “In the event of an emergency, I think the matter will be dealt with ably,” he added." April 1939. WOMEN’S VOLUNTARY SERVICE: "Public Meeting for women to advise them about civil defence work. The services with which it deals particularly are air-raid precautions, nursing and first-aid, and evacuation. The organisation is likely to play an important part with the evacuation scheme by assisting with billeting, communal feeding and the care of children, as well as catering for their reception, transport, etc. Mrs ME St J Barne, of Sotterley Hall is to be district organiser." 2 September 1939. EVACUEES: "Since last Thursday, the Town Council offices in Blyburgate have been a centre of intense activity, final arrangements being made for the reception of evacuees. Between 200 and 300 reception officers, billeting officers, billeting assistants, guides, canteen workers and welfare workers have since been enrolled and allotted their particular jobs at the distribution centres in the event of war. 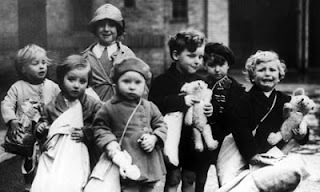 Allowances to be made to householders in respect of evacuees are: 10s 6d per week for one child, or 8s 6d for each child where more than one is taken. These payments will be payable each week at the Post Office on production of a certificate issued by the chief billeting officer. It should be clearly understood that the billeting of evacuees is no longer optional on the part of householders, but has been made compulsory by the Emergency Powers Regulations." By the end of September the Beccles & Bungay newspaper made this report. DIFFICULTIES OF EVACUATION in north-east Suffolk: "Plans were carefully laid, but at the last moment considerable numbers arrived by boat at Lowestoft and Felixstowe. There was no transport available to move them into the country and no free space to accommodate them. 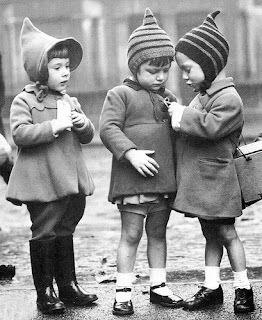 At Lowestoft evacuees had to be accommodated under all sorts of conditions - in schools, cinemas, hotels and public rooms for from two to four nights. As regards trains, for the first day & a half, they contained school parties only, but then to the dismay of the receiving officers, a train of women and children arrived instead of school children, with the result that billets were occupied by the mothers instead of school children. A large number of expectant mothers also arrived by train, not only alone, but in many cases with three, four or even five children under five years of age. However all these difficulties were eventually overcome thanks to the hard work of the officials." EVACUEES’ LETTERS: “I appreciate the people of Beccles for the way they welcomed us into their homes, and the way they are kindly treating us while we are away from home.” These young evacuees are fortunate in being able to attend such a fine up-to-date school as that at Castle Hill. “You have come to Suffolk and Suffolk is quite the nicest county in all England, so you are very lucky. You have come to the ancient town of Beccles and Beccles is one of the nicest towns in the nicest County in all England."